Our exciting course will prepare you for all aspects of the IELTS test and ensure that your chances of success at the exam are maximised. Class sizes are limited to 16 students to ensure you have plenty of opportunities to make contributions in class and get the individual support you need. The course is aimed at helping you achieve the grade you need to gain entry into Middlesex University, or to meet other life ambitions. 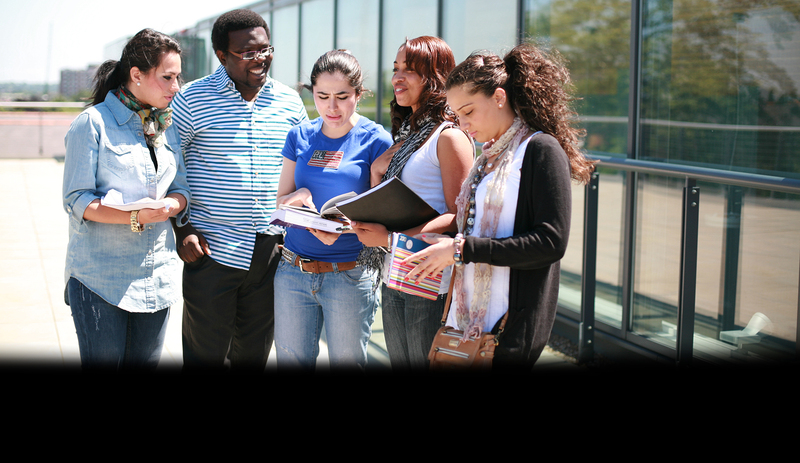 Why study the Intensive IELTS Preparation Programme at Middlesex University? The aim of this exciting course is to prepare you to take the IELTS test and increase your understanding of British culture in a fun and friendly way. You will study reading, writing, speaking and listening. During the course, you will also enjoy a range of regular trips and social activities, as well as a dedicated 24-hour residential student support. When you successfully complete the course, you will get an IELTS certificate and a Middlesex University Certificate of Recognition. This course is mainly suitable for students taking the academic module, but it is useful for the general module as well. Students taking the full programme will benefit from a range of support services, including airport pick-up, accommodation, meal plans, Oyster card, and a full social programme. You will be able to take advantage of a full range of trips and activities which are designed to develop your understanding of UK cultural life, and give you a range of memorable experiences. If you choose the tuition only programme you will receive the course tuition, the course book and the exam fee. You can download a full course description for more details, and for any enquires, please contact our team. The IELTS test will take place on Saturday 22 June and Saturday 27 July 2019. Applications should be made directly to the University. Please apply via our Online Application Portal. Please note that if you require a visa you will need to apply for a Students Visitor’s visa. Middlesex University is unable to sponsor Tier 4 visa applications for this programme. We require an IELTS score of 5.5 or equivalent. If you do not have an IELTS certificate, please email our team who will asses your English level.